Selling restaurants presents this high traffic and nearly new national Chinese food restaurant which is absolutely turn key. Located in a new strip mall, the owner has invested over 300k in planning, permits and improvements for this restaurant. Sitting on an end-cap unit of a shopping center there is plenty of window space with great visibility from all areas and plenty of parking available in the area where parking commands a premium. Sales are increasing as this location gets better established with sales averaging about $30k a month. Space is 2,110 square feet; current lease term expires August of 2018 with a five year option available. Base rent is $5,275 plus CAM of $1,055. Continue the current operations as a franchise or bring in your own Asian concept to this outstanding location, the decision is yours. Check out this great bargain now before the economy turns and the price reflects the true value of this location. Select one of the orange buttons below for more photos and the name and address f this restaurant. 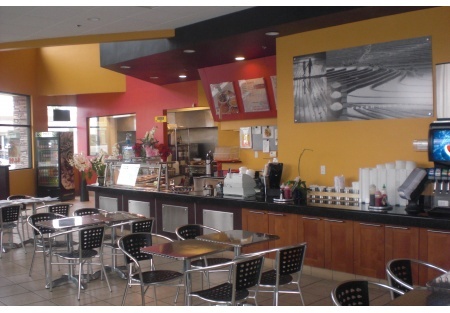 This is a Stone Path Brokerage Services, Inc. DBA Selling Restaurants San Diego listing.